"Iraq is breaking up before our eyes and it would appear that the creation of an independent Kurdish state is a foregone conclusion," Israeli Foreign Minister Avigdor Lieberman told US Secretary of State John Kerry as the two discussed the Iraqi crisis in Paris on Thursday. Israeli President Shimon Peres had a similar message for US President Barack Obama. "The Kurds have, de facto, created their own state, which is democratic. One of the signs of a democracy is the granting of equality to women," Peres said on Wednesday. 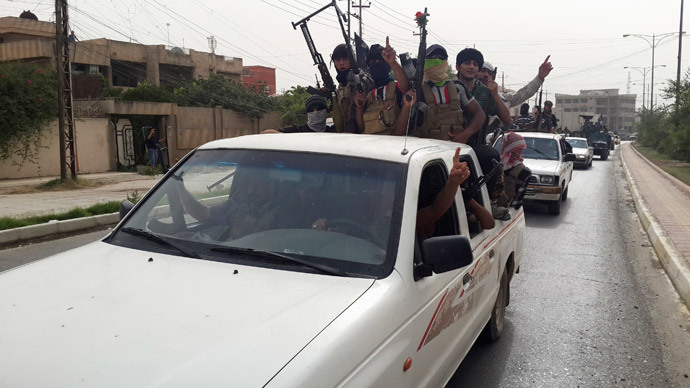 While forces from the Islamist State of Iraq and the Levant (ISIS or ISIL) were advancing towards the capital Baghdad, the Iraqi army abandoned the city of Kirkuk. The Kurds have seized on the chaos to expand their autonomous northern territory to include the strategic city. Besides being considered by Kurds as their historical capital, Kirkuk sits on vast oil deposits – a stable financial base for any possible statehood. "Kirkuk will finally produce oil for the Kurds," Muhama Khalil, the Kurdish head of the economic committee in Iraq's national parliament, told the Guardian. "For 70 years oil has been used to buy weapons to kill us. Finally we have our own oil and it will only be for the Kurds," he said. The Kurds now control the oil hub, and there were numerous reports that they sold a tanker full of oil to Israel – a country that their Arab neighbors maintain a boycott of crude sales to. The Israelis may see the Kurds as a natural ally in the Arab-dominated region where both feel they are threatened minorities. In an interview to CNN, Kurdish leader Massoud Barzani also commented on the possibility of an independent state, saying that "The time is here for the Kurdistan people to determine their future and the decision of the people is what we are going to uphold." In a reverse to decades of mistrust, the Kurds might find another country supporting their independence – Turkey. It now has a 50-year deal to send Kurdish oil by pipeline to Ceyhan and has been investing in Iraq’s increasingly autonomous Kurdish region in recent years. Turkish Prime Minister Recep Tayyip Erdogan voiced support for the Kurds’ right to self-determination. “The Kurds of Iraq can decide for themselves the name and type of entity they are living in,” Erdogan said last week. 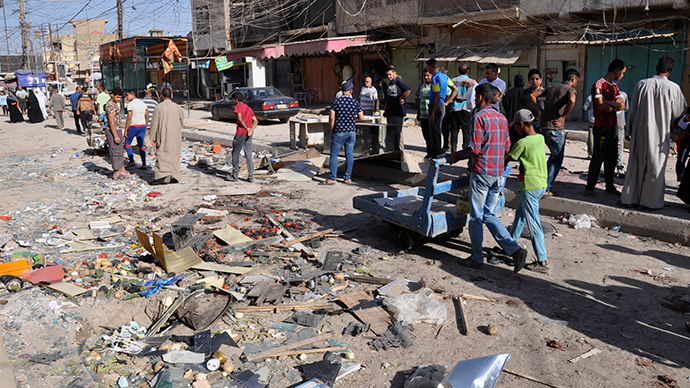 Meanwhile, the US urges Kurdish leaders to support Baghdad in its fight against ISIS. 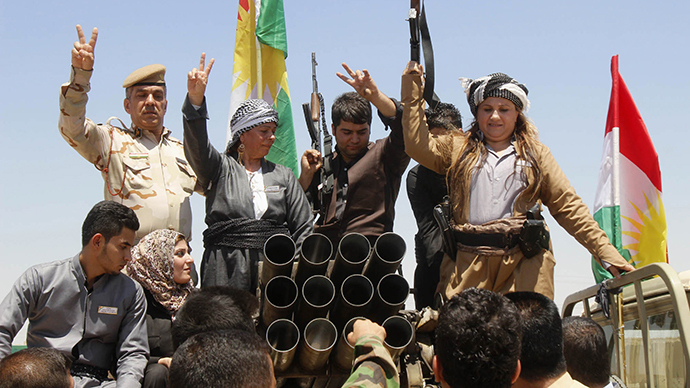 Washington also assured the Kurds they would participate in the next Iraqi government. For thousands of years, the majority of Kurds – who are an Iranian people – have lived in the Kurdistan region, an area along the border of four Middle Eastern countries. Now the Kurdish population is scattered between northern Iraq, eastern Syria, southeastern Turkey, and western Iran. They total up to 40 million people – making the Kurds one of the world's largest ethnic groups without its own state.